Bibeau and McKay also located the Lakeview group and made a shipment of high-grade ore, three tons of which netted $900 in smelter returns. They did considerable work and some years later bonded the property to Anyox interests, who did a small amount of development work and then allowed the bond to lapse. 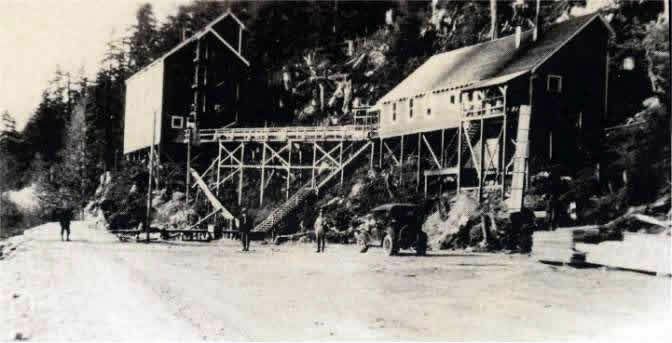 A short time afterwards the property was taken over by Victoria people, who organized the Lakeview Mines Ltd., and drove a long crosscut tunnel to intersect the vein system at depth, but the success anticipated was not met with and the mine lay idle until recent years when it was taken over by H. D. Rochfort, who now operates it on lease.